Robert Katende, is the chess teacher on whom the Walt Disney movie Queen of Katwe is based. He is the man behind the success of Ugandan chess champion Phiona Mutesi and many other youths from the slums. His exemplary and innovative leadership in 15 years of service have seen him as Project Coordinator in Katwe, Sports Outreach Director, Kampala and Nairobi, and more recenlty Sports Outreach Director for Africa. He introduced and developed chess programs in the slums of Kampala, Nairobi and in the internally displaced people’s campus (IDP) in Gulu, Northern Uganda, an area severely affected by Kony’s Lord’s Resistance Army (LRA). Obinna Ukwuani is a Nigeria-based social entrepreneur who has dedicated his life to contributing to the improvement of education on the continent. He moved to Nigeria shortly after receiving his Economics from MIT. As a student, he founded the critically successful Exposure Robotics Academy. Obinna proceeded to launch the Makers Academy project, a multi-million dollar effort to build a state-of-the-art STEM high school where students routinely develop and use technology skills to create real solutions to societal issues. Sidee Dlamini is the head of recruiting at the African Leadership University in Mauritius. She was born and raised in the Kingdom of Swaziland. She attained her International Economics and Business degree at Texas Christian University, then began her professional journey with UBS Wealth Management. Her first project was in partnership with the MasterCard Foundation, where she trained and coached the youth on how to get admitted into international universities. Yasmin Belo-Osagie is the co-founder of She Leads Africa– a social enterprise based in Nigeria that seeks to address challenges women on the continent face in creating, growing, and sustaining their businesses and professional services. Belo-Osagie was born in Boston, United States of America but grew up in Nigeria. She attended a boarding school in England before graduating from Princeton University USA. She also attended Le Cordon Bleu in Paris and London. Belo-Osagie is currently pursuing a joint JD/MBA from Harvard Law School and Stanford Graduate School of Business. She has worked at McKinsey & Co for 2 years as a consultant where she focused on developing multi-year growth strategies for large organizations. Joshin Raghubar is an African entrepreneur in the media, marketing, and technology sectors. He is the founder and executive chairperson of iKineo Ventures; co-founder of Sprout, South Africa’s leading digital media performance firm; and Explore Sideways, a leading immersive travel company and online purveyor of premium wine, food, and culture tourism experiences. He is also co-founder and chairperson of Kili Partners, a pan-African advisory, investment facilitation, and project development firm. Joshin serves as the chairperson of the Bandwidth Barn, Africa’s largest non-profit incubator and accelerator for technology businesses; and chairperson of the Cape Innovation & Technology Initiative (CITi), the public/private sector agency tasked with development of the region as a technology and innovation cluster. Emily Cunningham is Co-Founder and COO of MoringaConnect, a social enterprise connecting 2,500 smallholder farmers to the global market for moringa-powered natural products sold through their award-winning True Moringa beauty brand and Minga Foods superfood snack brand. Their vertically integrated supply chain equips farmers with the tools and training they need to produce for the global market, provides a guaranteed market for their produce, adds value in Ghana, and sells their finished products directly to conscious consumers worldwide. She and her co-founder Kwami Williams have been named Echoing Green Fellows and selected as part of Forbes 30 Under 30 Class of 2017. Arthur Musah is a filmmaker from Ghana. His latest film, the documentary NAIJA BETA, premiered in 2016 at the Pan African International Film Festival in Cannes. It won Best Documentary Feature at the Urban Mediamakers Film Festival in Atlanta, an Achievement in Documentary Film Award at the Silicon Valley African Film Festival, and the High Output Director Award at the Arlington International Film Festival. NAIJA BETA also screened at the Museum of Fine Arts Boston, where it won Best Documentary Short at the Roxbury International Film Festival. He continues his exploration of African identities in a globalized age through his upcoming feature ONE DAY I TOO GO FLY, which follows 4 Africans through 4 years at MIT. Arthur studied filmmaking in the MFA program at the University of Southern California as an Annenberg Fellow, and holds a bachelor’s and a master’s in Electrical Engineering and Computer Science from MIT. Minna Salami is a writer, blogger, speaker, feminist thinker and an independent consultant. She is the founder of the multiple award-winning blog, MsAfropolitan, and has been listed as "one of twelve women changing the world" by ELLE Magazine. Minna writes for a number of international publications including The Guardian, Al Jazeera and The Independent, and she is a columnist at the Guardian Nigeria. Her talks and articles cover a range of topics such as global change, feminism, Africa, popular culture, thought leadership and current affairs. She is a TEDx speaker with her talk, "To change the world, change your illusions"
E.C. Osondu is a winner of the Caine Prize and a Pushcart Prize. He is the author of the novel This House is Not For Sale and Voice of America a collection of stories. Osondu had previously won the Allen and Nirelle Galso Prize for Fiction and his story "A Letter from Home" was judged one of "The Top Ten Stories on the Internet" in 2006.His work has been translated into half a dozen languages. He is an Associate Professor of English at Providence College in Rhode Island. Zelalem Kibret is a Scholar-in-Residence at the Center for Human Rights and Global Justice at New York University. His research focuses on transitional politics and justice, post-conflict Africa, traditional justice, the role of individuals in International law, accountability vis-à-vis peace-building, and Counter-terrorism strategies. Besides his teaching activities, Zelalem is a blogger at the Zone Nine Blogging platform, a collective which blogs and campaigns on Human Rights, Constitutionalism, and Democracy. Along with his team, he won the 2015 Committee to Protect Journalists (CPJ) International Press Freedom award and the 2015 Reporter Sans Frontieres (RSF) Citizen-Journalist award. Marcel Kitissou holds a PhD in Political Science from Syracuse University and a doctorate in Contemporary History from the University of Bordeaux, France. He served on the Board of Directors of Amnesty International-USA (2012-2015). He taught in the PhD program in Public Policy and Social Change at Union Institute & University; served as Faculty Director of the Global Humanitarian Action Program at George Mason University, Executive Director of the Africa Faith and Justice Network (Washington, DC); Director of the P.E.A.C.E. Institute at the SUNY-Oswego; Director of the Institut Supérieur de Presse de l’Entente and Associate Director at the National School of Public Administration in Togo. Zethu Matebeni’s scholarship and activism on African sexuality and gender diversity is well cited. Zethu received a Ph.D at WISER (Wits Institute for Social and Economic Research) at the University of the Witwatersrand. Since 2011 she has been at HUMA (Institute for Humanities in Africa) at the University of Cape Town as a senior researcher. She has consulted for the Nelson Mandela Foundation, Ford Foundation, has held fellowships at Yale University, University of Amsterdam and research collaborations with universities in Ghana, USA and Sweden. She is author of Black Lesbian Sexualities and Identity in South Africa (2012), director of the film Breaking Out of the Box: stories of black lesbians in South Africa (2011). Mathilde Mukantabana is the Ambassador Extraordinary and Plenipotentiary of the Republic of Rwanda to the USA and non-resident Ambassador to Mexico, Brazil, and Argentina. Ambassador Mukantabana will speak on our WOMEN AND GOVERNMENT panel and has won many awards attesting to her accomplishments including the 2012 Peace and Justice Award from the Center for African Peace and Conflict Resolution. Samira Bawumia is the Second Lady of the Republic of Ghana. Holding a BA Social Science from the Kwame Nkrumah University of Science and Technology and an MBA in Project Management from the Ghana Institute of Management and Public Administration, she is passionate about women empowerment and efficient governance. She shot to prominence in the campaign period leading up to the 2016 presidential and parliamentary elections in Ghana as a woman who boldly campaigned against corruption and inefficient management of resources.She looks forward to assisting the present government in building the 'new Ghana'. She is married to Dr Mahamadu Bawumia, the Vice President of the Republic of Ghana. Jonelle-Tetteh Ocloo is a graduate of Yale Law School. Ocloo, the founder of The Law Offices of Jonelle Ocloo, LLC (LOJO), is an experienced attorney who concentrates her practice in all areas of immigration law. 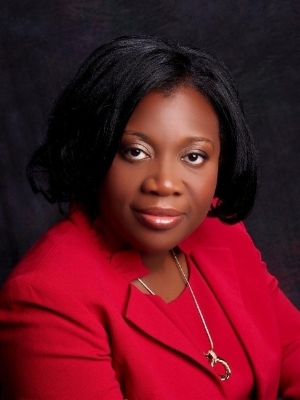 She is a member of the Maryland State Bar and the District of Columbia Bar, and Chair of the Immigration Law Section of the Maryland State Bar Association.She also serves as Advocates International's Liaison to Africa and to the African Christian Lawyer Network that links over 10,000 lawyers throughout the continent. In 2014, at events in 23 states and the District of Columbia, thousands of immigrants were served by the volunteers that Ms. Ocloo helped to train. Today, in the fight against Trump’s Executive Order, Ocloo’s work stands for immigrants everywhere seeking to find a home.